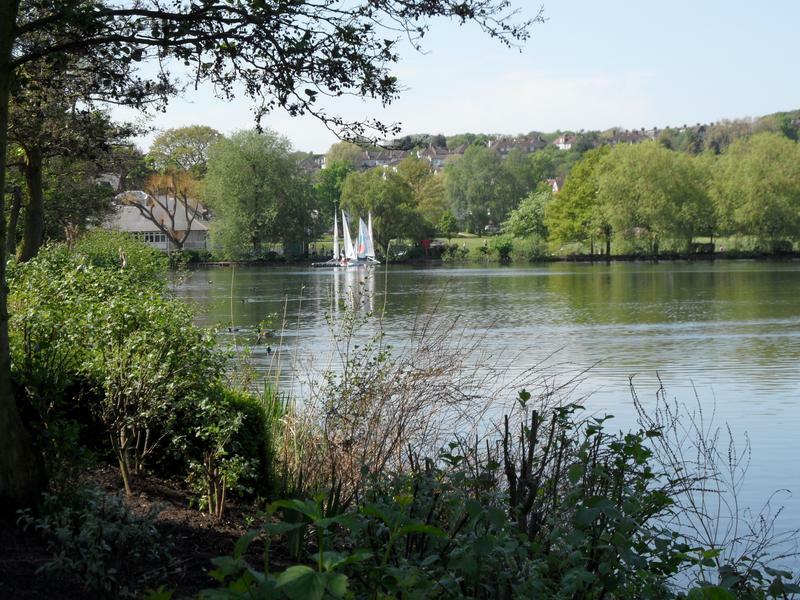 Wide shot of South Norwood Lake, with the sailing club in action. 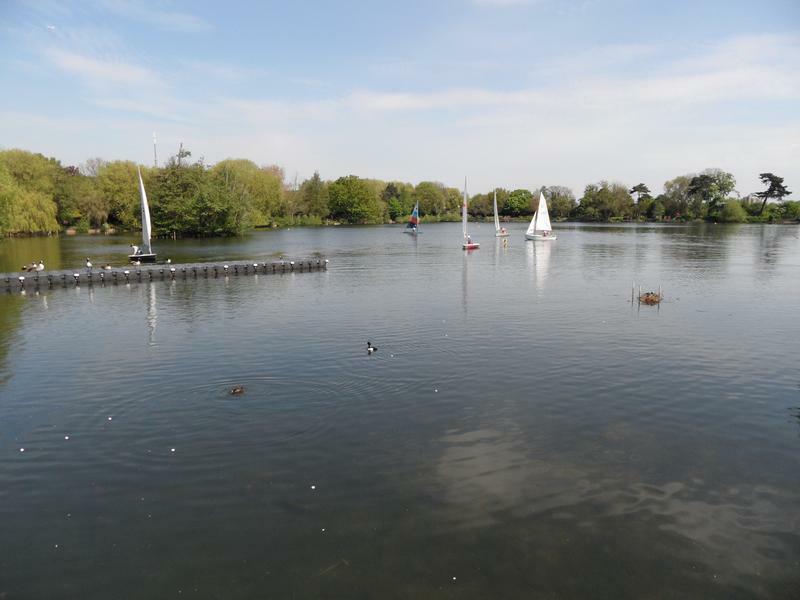 Many of the wild fowl use the long floating jetty as well. 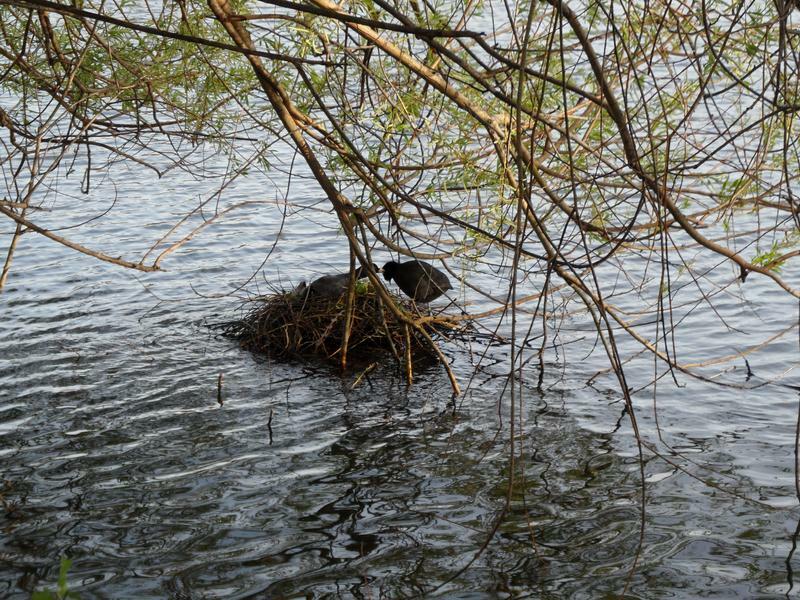 fowl can be seen in the lake. 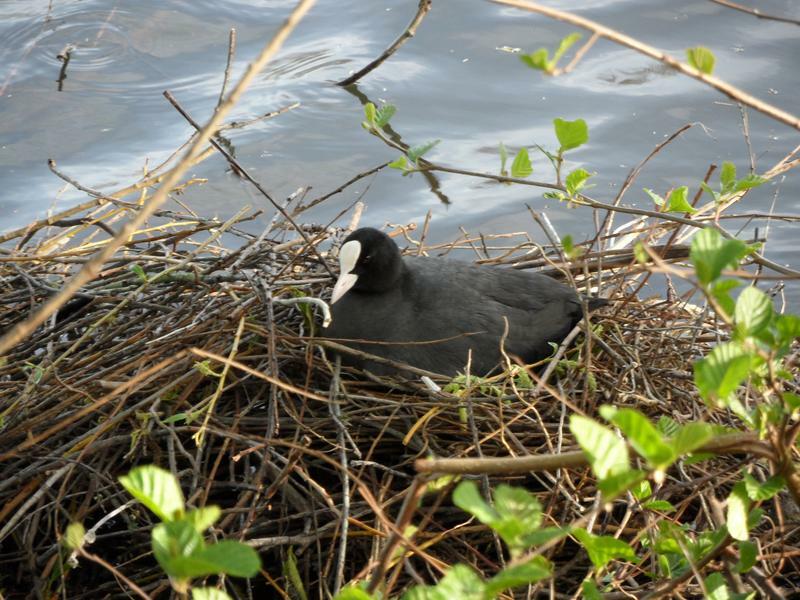 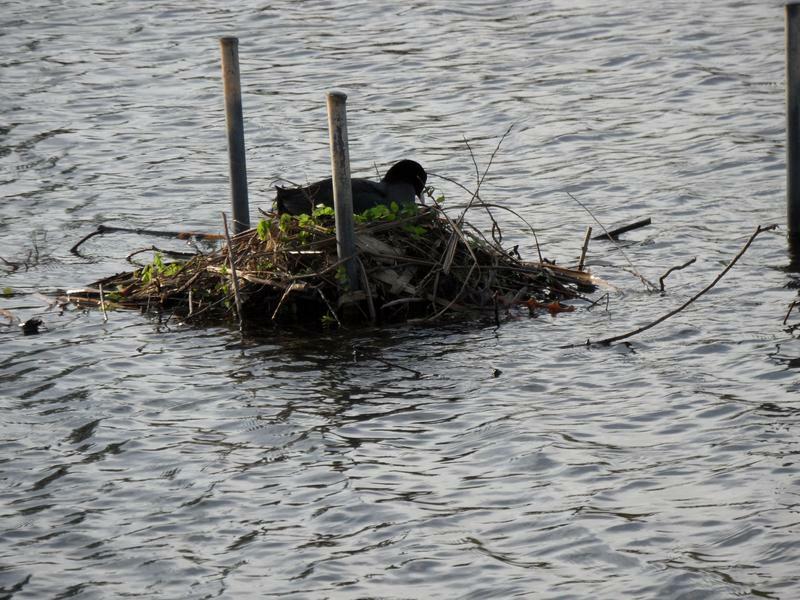 A Coot sitting on her nest, not sure how much she built herself. 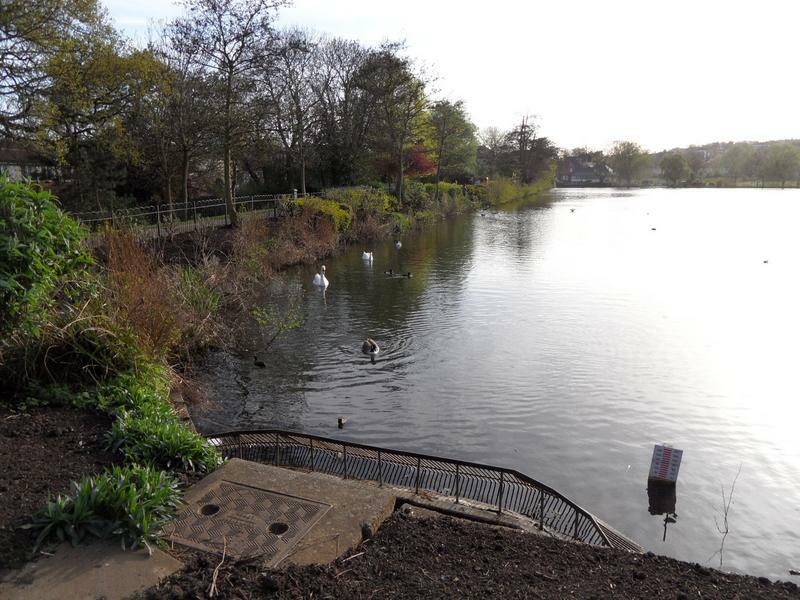 ornamental garden around the edge, with a railed path surrounding the entire lake. 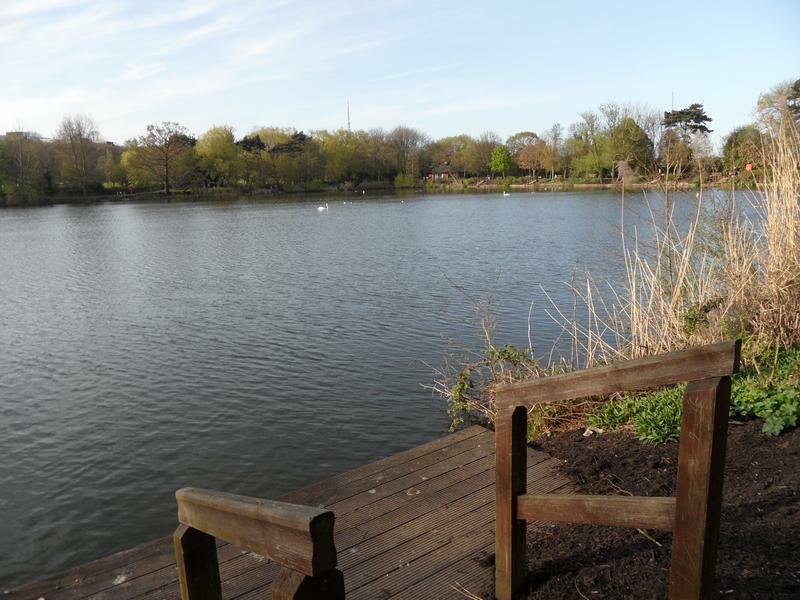 There are lots of closed off fishing platform, a swan in the distance. 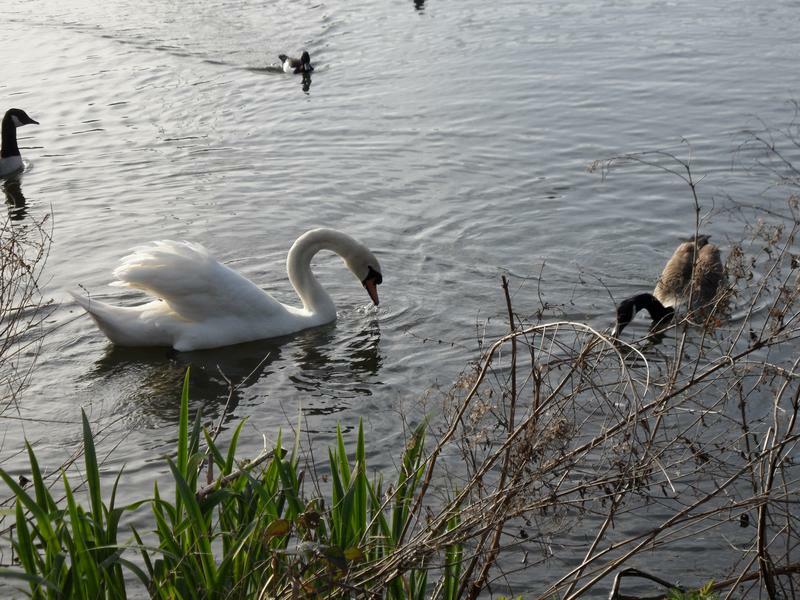 Once feeding starts, the wild fowl all zoom across the pond, there were just two Mute Swans on the lake. 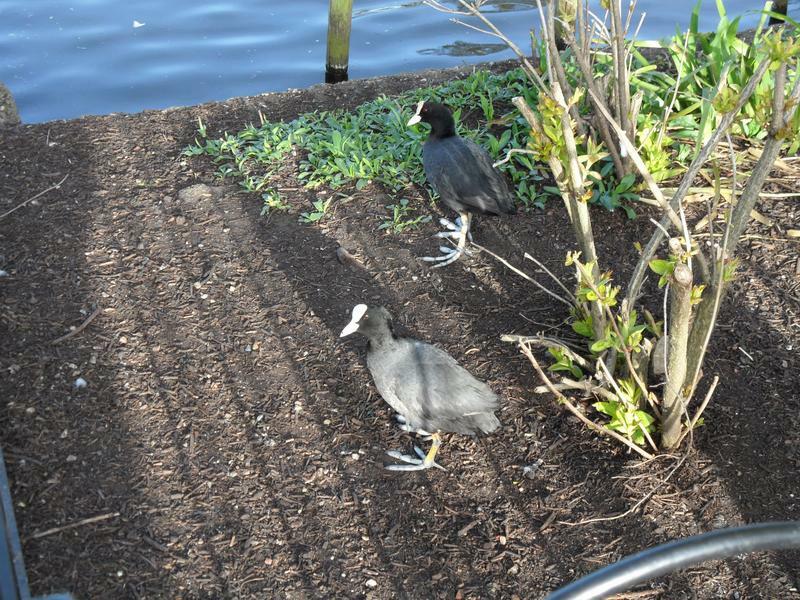 Feeding is a challenge, since you have to throw food over the garden around the edge. 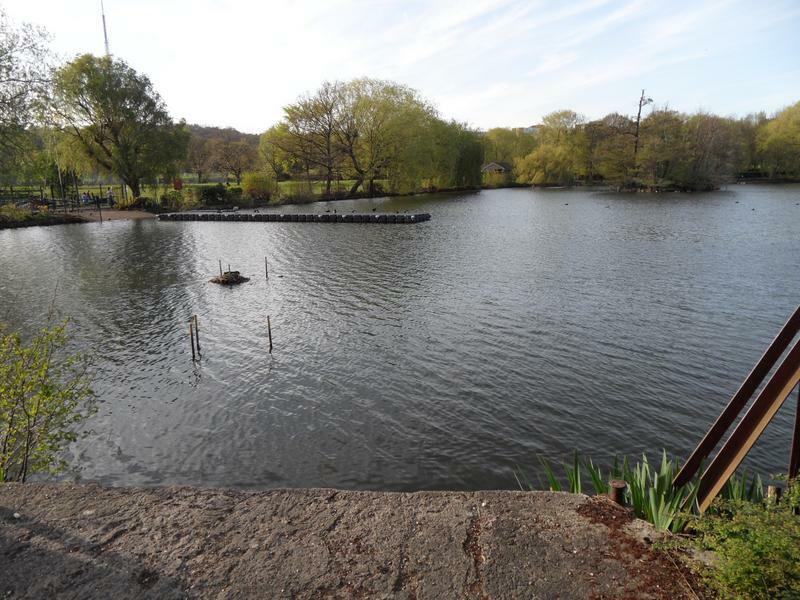 You can see the railed path and planting around the pond edge. 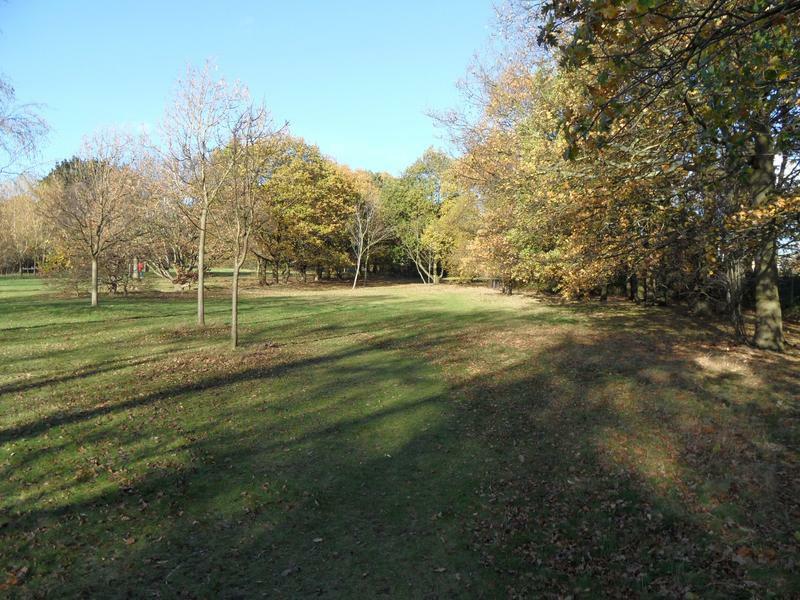 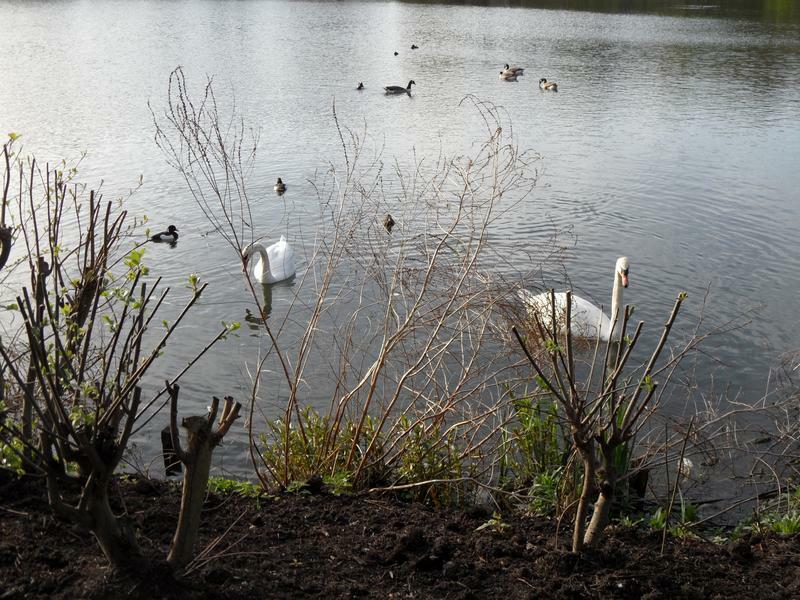 The planting around the lake does leave plenty of room for wild fowl to wander. 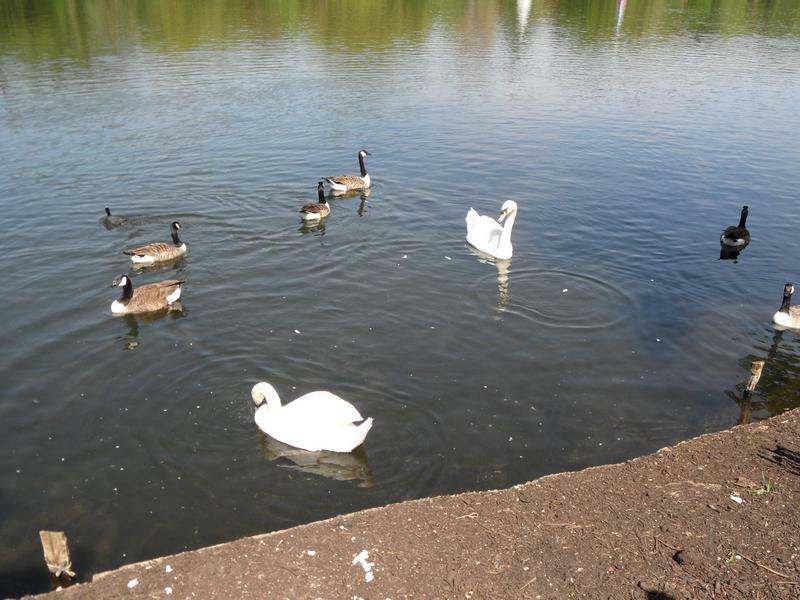 22nd April 2011, the Mute Swans and Canada Geese, no young yet. 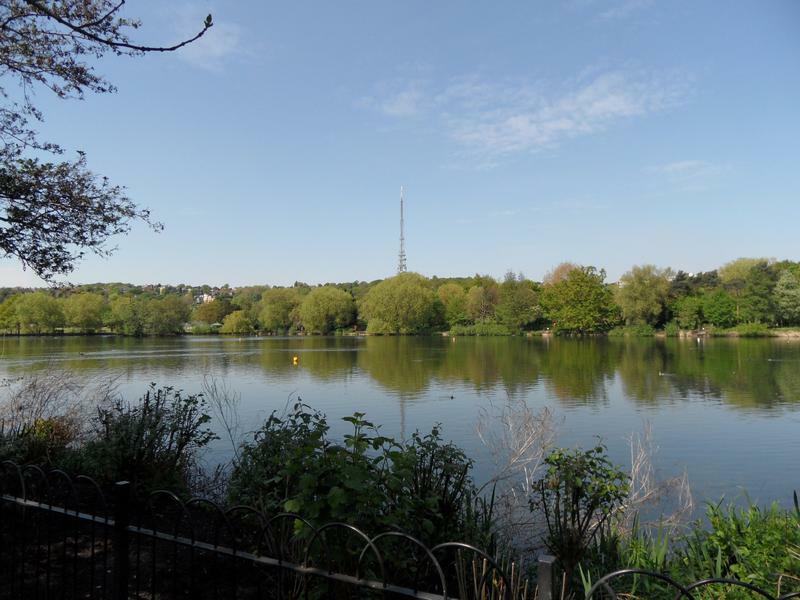 South Norwood Lake, with Crystal Palace TV transmitter mast in the distance, at another park. 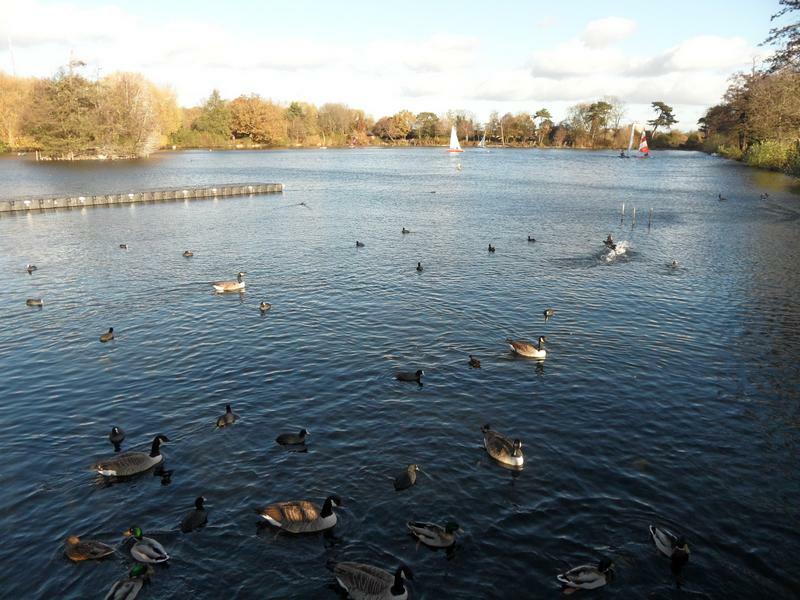 here, Mallards, Coots, Canada Geese and Moorhens, all very hungry. 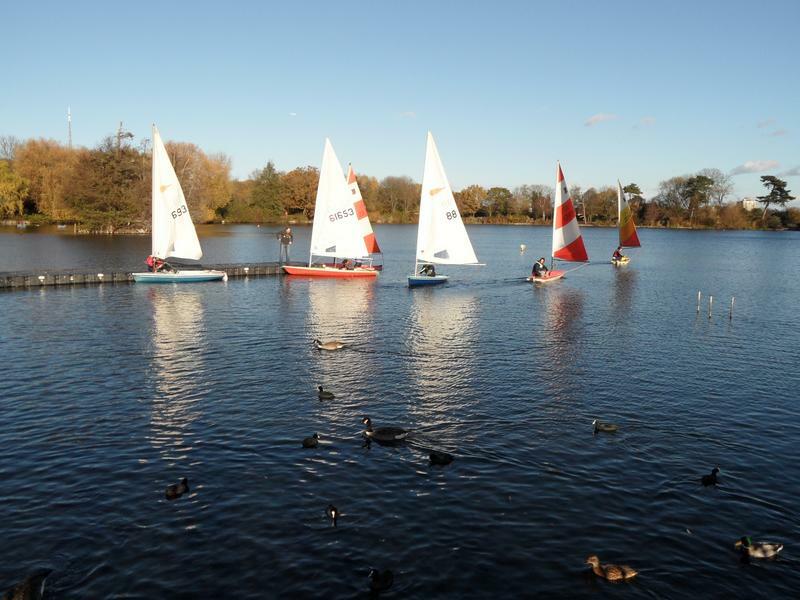 The cold weather does not stop the sailing club going out on the lake, and there are several fishermen around the lake. 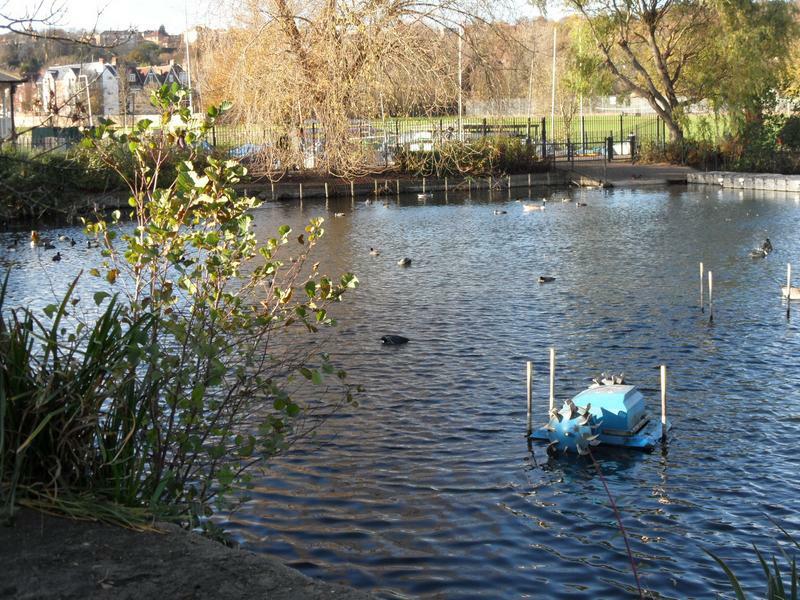 This look like a small paddle boat, did not see them before, but not in use. 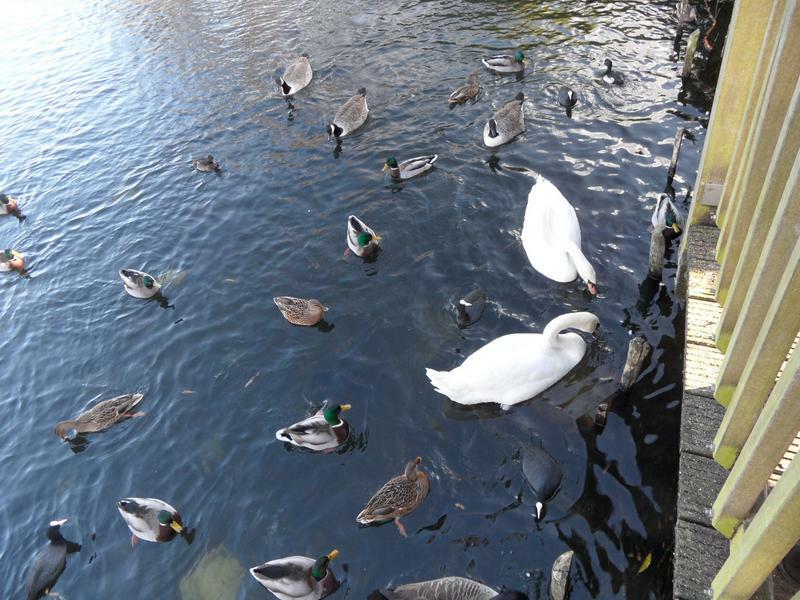 Not that many wild fowl on the lake, mostly near the few easy places to feed. 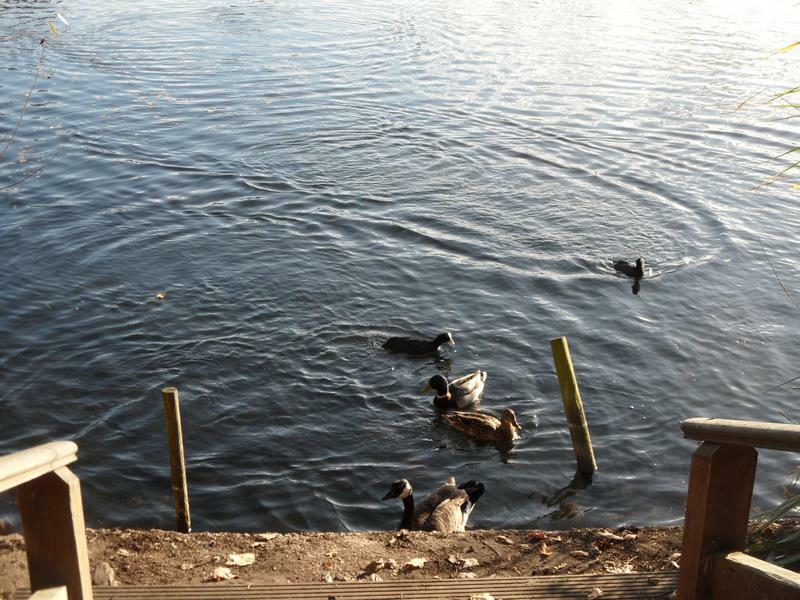 A fishing jetty, with a few birds waiting for food. 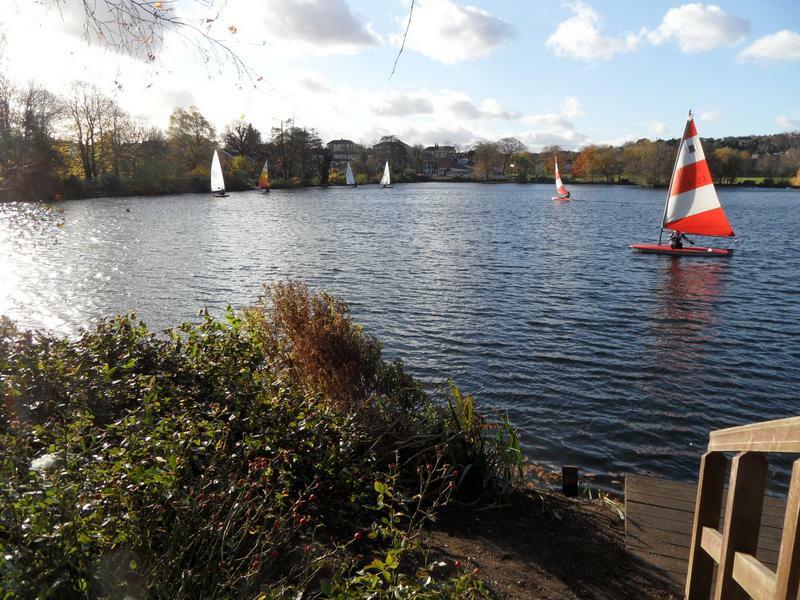 The sailing club coming back to it's jetty, with water fowl staying away from them.